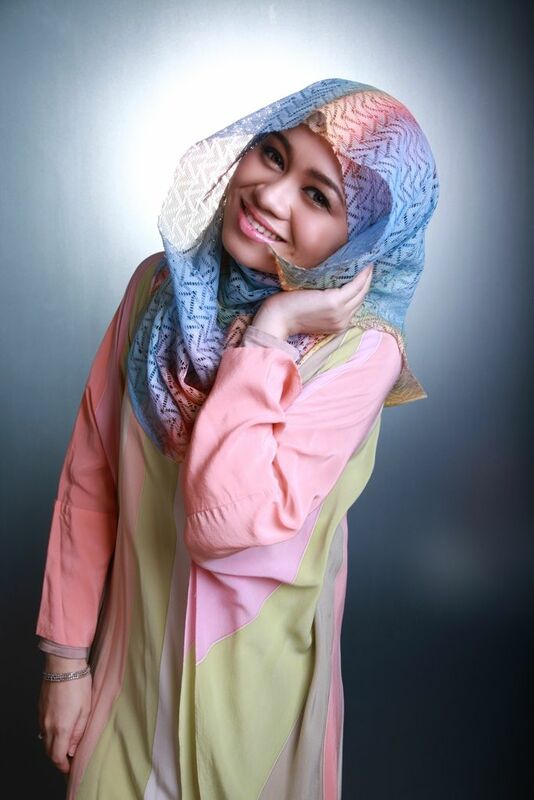 Back in March 2013, I was invited to become a model for I Love Tudung's first photoshoot. I modeled Lala Love 's first collection. Mind you, I'm no professional model, I only agreed to help out to support my cousin. In the beginning I was quite awkward, I hadn't been out very much and I was still adjusting. I was also very nervous and uncomfortable in front of the camera. To make matters worse, I suddenly had fever and flu the day before and my eyes were all teared up because of the flu. The photoshoot took one whole day, from 7 a.m. in the morning til around 10 p.m.! Yes, it was that long! 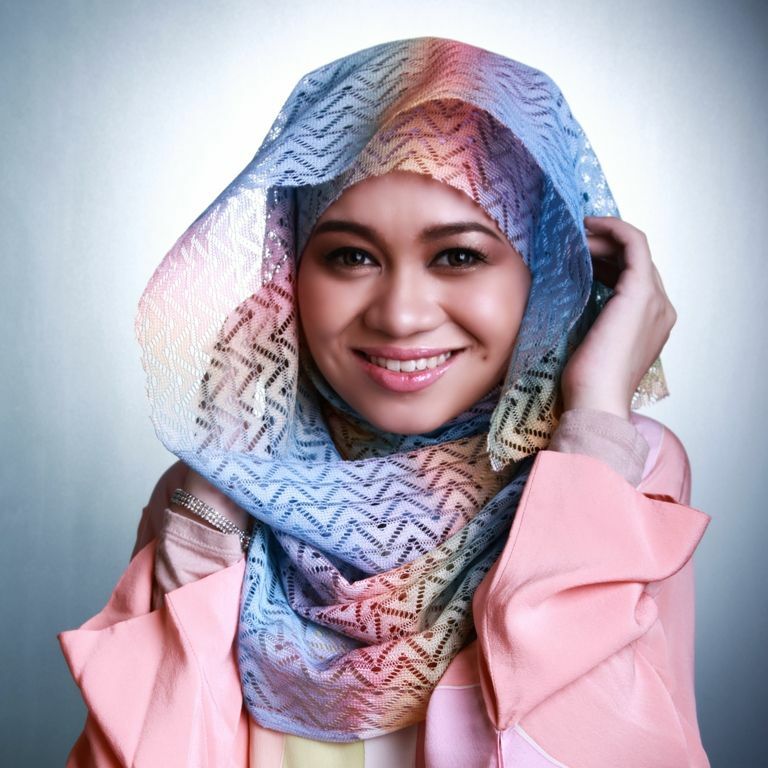 as we had a lot of different shawls to shoot. Prior to the photoshoot, I did not do any activity that required any energy for a very, very long time so it was very tiring and challenging, with the fever and all. 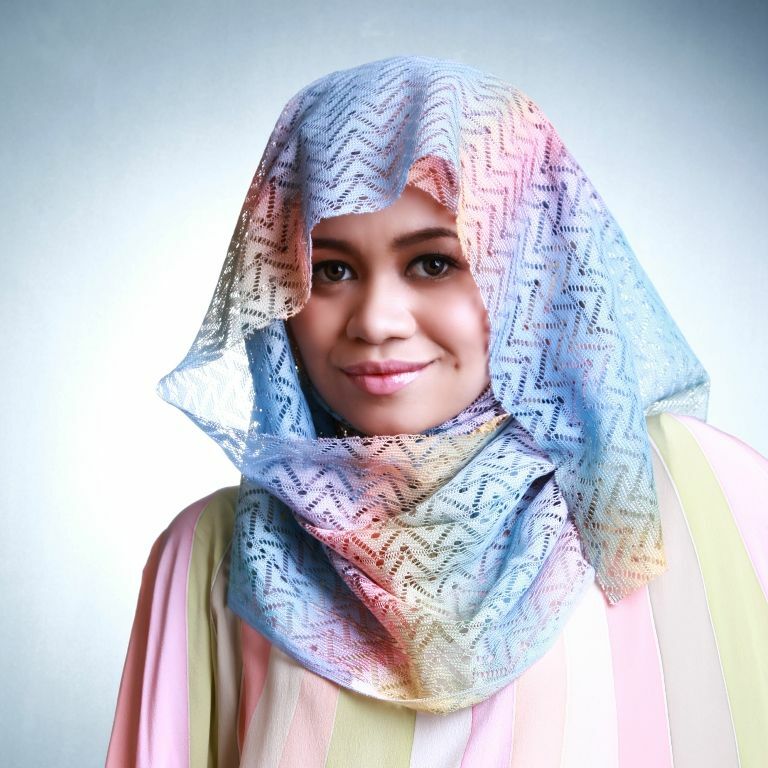 I only started getting more comfortable when I was modelling this Pelangi Lace shawl, so that's why this shawl gets a special mention. Something about the rainbow colours made me feel all smiley. 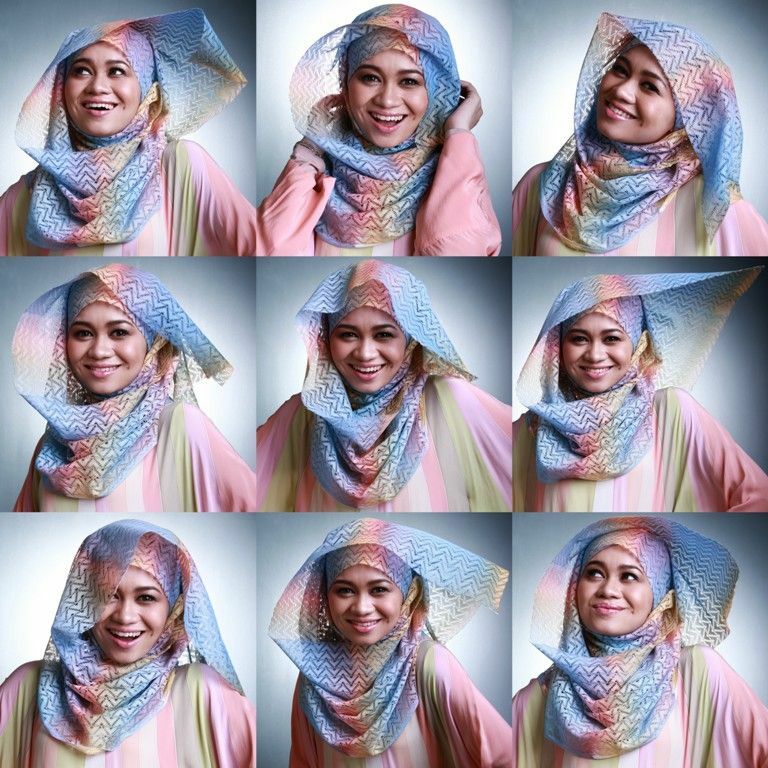 In the end, the photoshoot turned out really well, my cousin and I had a lot of fun playing around and getting the shawl to fly all over the place "artistically". 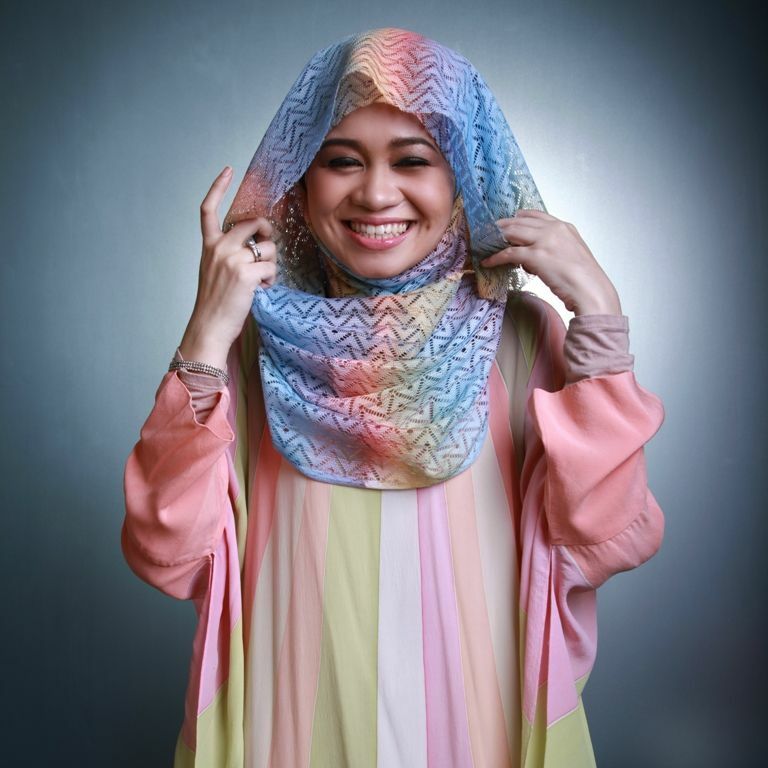 Here are some shots of me wearing the raibow coloured Pelangi Lace shawls. So here's to all the little things that make you smile :) Smiling is a charity, so spread them smiles! *big smiles* Love and light to all of you!